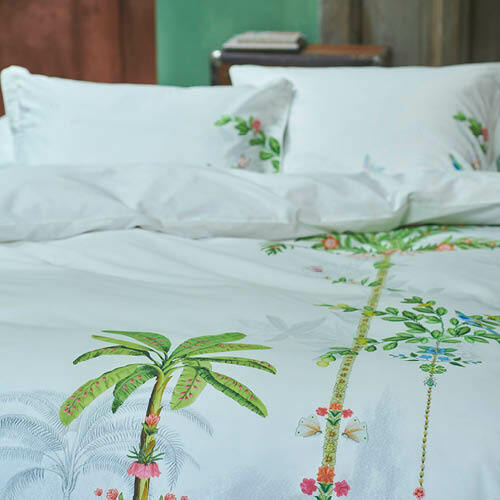 Cotton percale, what is it? 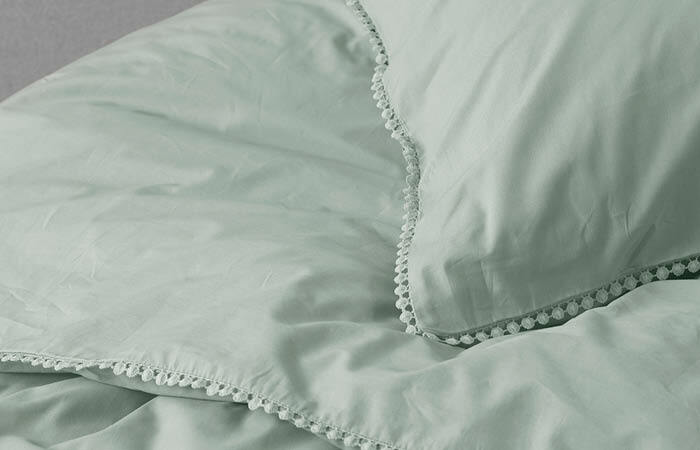 Cotton percale is a luxurious fabric with a wonderfully fresh feel. 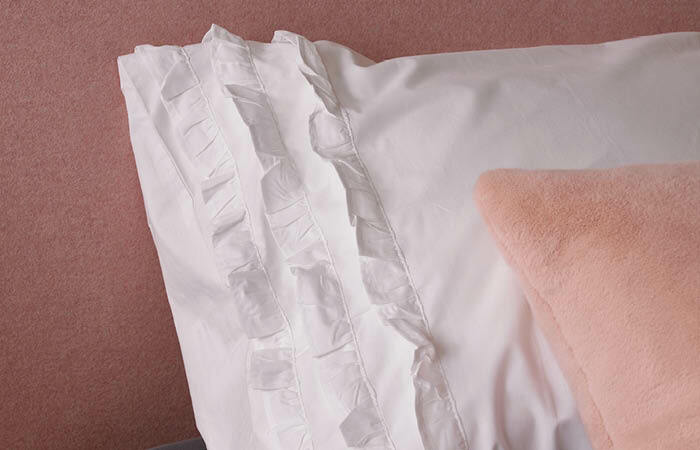 It is delightfully soft and smooth, breathes well and is therefore one of our favourite fabrics for the bedroom. Especially in the summer! 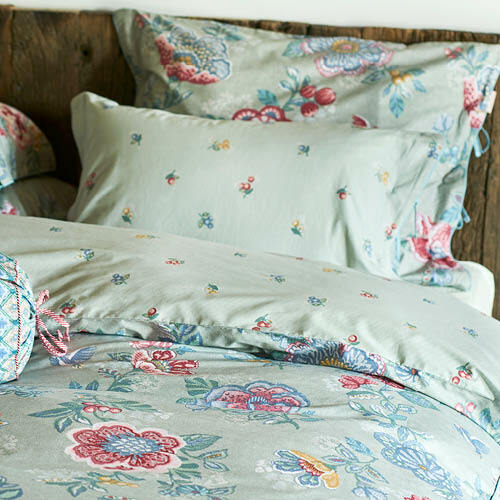 Wondering exactly what cotton percale is? Here we explain it for you! Percale is made from 100% cotton and therefore has all the wonderful qualities of cotton: it breathes well and absorbs moisture. The difference with 'normal' cotton is the number of threads (the thread count) that is used. Cotton percale has a higher thread count and uses a finer yarn and therefore feels softer, smoother and more pleasant against the skin. It may only be called percale if the thread count is higher than 200. The higher the thread count, the more beautiful, softer and smoother the fabric. 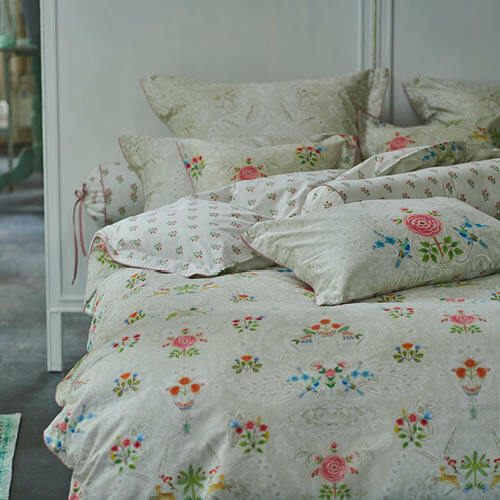 Cotton percale is one of our favourite fabrics for bedroom and is perfect for use all year round. It has a soft look - without the shine of cotton satin - and a wonderfully fresh feel. This fresh feel of the fabric also ensures that it is lovely and cool. 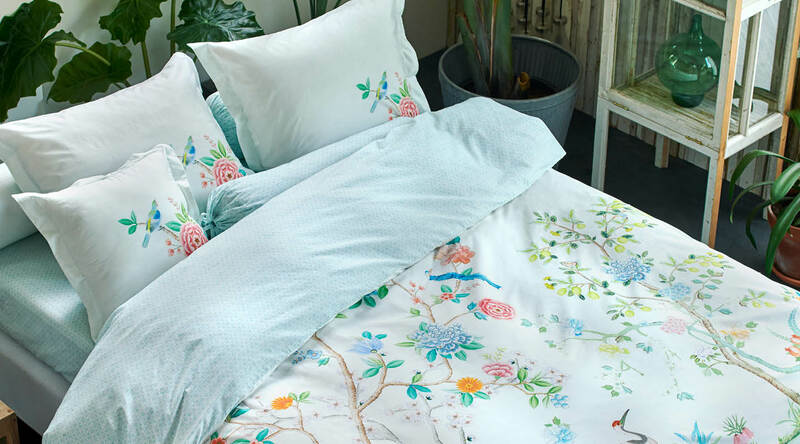 In combination with the breathable and moisture-absorbing properties of cotton, this is the ideal bedding fabric for the summer! Cotton percale is easy to maintain. You can wash a cotton percale duvet cover set at a maximum of 60 degrees and dry it in the tumble dryer at low temperature. Ironing can be done up to 110 degrees. Percale will not pill easily thanks to the high density of the weave, this will keep it looking beautiful for a long time. Beautiful and sustainable!